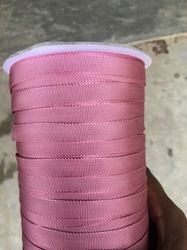 Leading Manufacturer of crochet binding tape and gross grain tape from Bengaluru. Backed by rich experience and market understanding, we are offering an extensive range of Crochet Binding Tape. 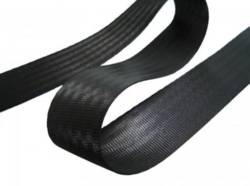 This tape is precisely manufactured in our well equipped production unit as per set industry norms using high quality material and advanced machines. It is widely demanded for enhancing the look of shoes. Clients can avail the offered tape from us in diverse lengths, colors and finishes at industry leading price. We are offering Gross Grain Tape to our clients. Backed by a team of highly skilled professionals, we manufacture and supply a varied range of tapes in varied sizes and dimensions as per the requirements of our clients. Yarn dyed 100% color fastness AZO free, suitable for export.